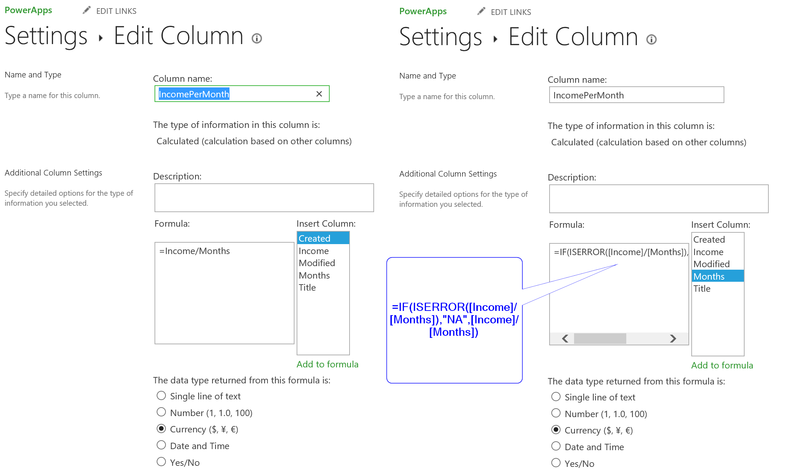 #Office365Challenge Sometimes columns give errors due to no data completed or invalid data. This post will show you how to change your formula in your Calculated Column, to not show errors. Nothing as annoying as the #DIV/0! error, right?!?! Keep in mind that formulas might differ based on the version you’re working on. 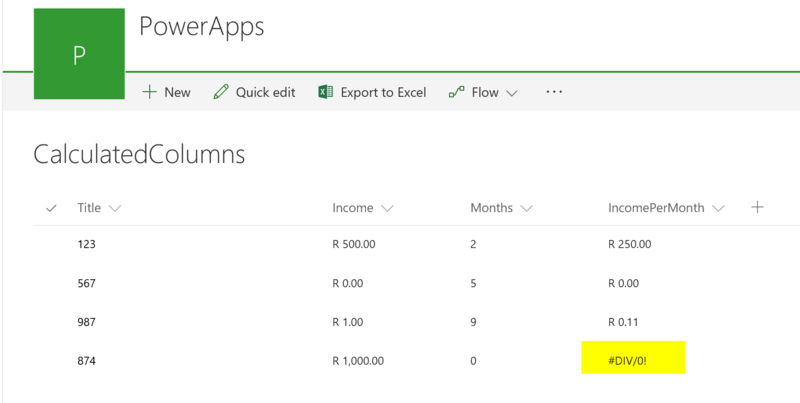 Read my post Day 44 – Excel / SharePoint Formulas using Commas or Semicolons for more detail.